Just as in 2016, these leading brands – Bowflex, Marcy, Weider – have this year’s top options for all-in-one home workout machines. The key, though, is being able to figure out not just the best brand of workout machine, but also the make and model of the best all-in-one gym machine able to give you a complete workout based on your goals and overall fitness level. 1 The Best All-in-One Gym Machines 2017. As in our 2016 review, the best all-in-one gym machines 2017 includes machines from Bowflex and Marcy. But we’ve added a new dual workout machine from BodyCraft that’s perfect for the couple trying to get into shape together. We have also added a new machine from Weider on the low end of the price spectrum for beginners just starting out on their fitness regimen. The machines below are ranked from LOW to MIDDLE to HIGH, based on their price as well as their array of possible exercises. At the end of the review, we provide a quick guide to picking out the best all-in-one home gym for your own personal fitness needs. For a full review of the best all-in-one home gyms of 2016, click here. The Best All-in-One Gym Machines 2017. This Weider machine is perfect for someone just starting out on a fitness routine. It’s priced much lower than other all-in-one home gyms, but is still designed to work almost every muscle group to tone and get you into shape. A big bonus of this machine is the compact shape and design of the machine, which can really save you space. It conveniently folds for easy storage. While the relatively low price of this Weider machine might lead you to think that it’s only for fitness novices, that’s not necessarily the case. The key feature of the Weider Ultimate Body Works is an adjustable incline bench with pulley on each side. The bench is adjustable to a steeper incline to increase the amount of weight resistance. Get the best price and any discounts on Amazon. This is one of the most popular home workout machines you’ll find, with a rating of 4.5/5.0 on Amazon.com. It’s surprisingly versatile, offering more than 30 strength exercises. Moreover, you have the ability to adjust the machine to offer as little as 5 pounds or as much as 210 pounds of resistance. An added bonus for anyone looking for cardio support is a built-in rowing station. And, if you’re looking to work your legs, there are 4-inch upholstered roller cushions for leg extension and leg curl exercises. Plus, the rowing machine rail neatly folds up when you’re done, saving you space and why we think it is one of the best all-in-one gym machines. An important feature of any Bowflex machine is the patented Power Rod technology, which enables the machine to offer weight training resistance without a traditional weight stack. The first time you use a Bowflex machine, it might take some getting used to, but once you’ve experienced the easy, fluid movement of a Bowflex machine, you’ll have a hard time going back to traditional weights. Moreover, Bowflex offers a full line of machines, making it possible to upgrade to new machines as you improve your overall fitness. Can you tell that we’re fans of the Bowflex technology? This is a trusted home fitness brand, and the machines almost universally draw high marks from users. As noted in the review of the Bowflex PR1000, one major attraction of getting a Bowflex machine is being able to “graduate” into a higher level of machine as you improve your fitness level. So it’s worth noting what separates the Bowflex Blaze from the Bowflex PR1000: you get 60 resistance-training exercises instead of 30, and you also get a lat tower with angled lat bar. There’s also a lower pulley/squat station for working your glutes, hamstrings and quads. This machine is perfect for weekend athletes training for events, as well as people who just want some strength and toning. One defining feature of the Bowflex Blaze is the leg extension/leg curl attachment. Too many home gyms seem to forget about working the legs, and it’s good to see that the Bowflex Blaze is built for people concerned about their lower body development. Get the best price and any discounts at Amazon now. Just like Bowflex, Marcy is one of the most trusted names in the home fitness industry. The company has been making workout equipment for a long time, and it shows. Each machine has a sturdy feel, and includes all the little features that let you know that Marcy has been listening to its users. This Marcy machine is built from 14-gauge steel tubing, and certainly feels sturdier than other machines on the market. It includes a nice combination of features, like a Smith-style press bar, pull-up bar, cable crossovers, and leg developer. There’s one other advantage of opting for a Marcy machine – it’s very easy to build out a full home gym with other top fitness equipment from Marcy. 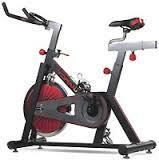 For example, the Marcy Revolution Cycle is one of the top exercise bikes on the market today. If you’re looking to amp up the cardio side of your workout, then there’s nothing better than pairing a Marcy Revolution Cycle with a Marcy Combo Smith Machine. You can get them both for less than what you might pay for a full-year membership at a private gym. 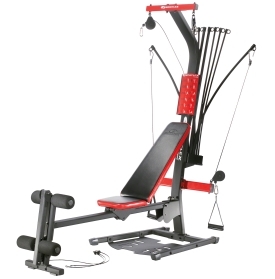 In addition to the Marcy Smith Machine, you might also want to opt for the Marcy Diamond Elite Smith Cage machine, which offers a bit extra stability due to its unique design. Clink the links above now, for the best prices and discounts on Amazon. In this higher price category, you can start to see some of the features that are simply unparalleled by any of the other best all-in-one gym machines. For example, with the Bowflex Xtreme 2 SE, you get access to more than 70 different exercises, each targeting a different part of your body. If you’re looking to work your back and shoulders, there’s an integrated lat tower and angled lat bar. Moreover, if you want to upgrade from the standard 210 pounds of resistance, you can easily move to 310 pounds or 410 pounds of resistance. Obviously, this is a machine that’s geared to a serious fitness enthusiast (and it’s priced accordingly). That makes it perfect for achieving an all-over tone, as well as building strength far more rapidly than with other machines. Once you’ve crossed the $1000 price threshold, you also start to see more emphasis on comfort and higher-quality materials to create a machine that you’ll really enjoy using on a daily basis. Click here for the best Amazon offers on the Bowflex Xtreme. One new trend that we’ve been seeing in 2017 is the popularity of “multi-station” machines that make it possible for two people to work out on the same machine at the same time. The upside of such a machine, of course, is to work out with a friend or significant other. It captures the same “social” element of working out in a gym with someone else. The downside, though, is the price and expanded footprint of the machine. The one machine that caught our eye is the BodyCraft Galena Pro, which has a nearly perfect rating of 4.8/5.0 on Amazon.com. The Galena Pro is a true multi-station all-in-one home gym. It will literally take your home workouts to the next level. It’s perfect if you have plenty of space in your home, garage or basement for the larger footprint of this machine. 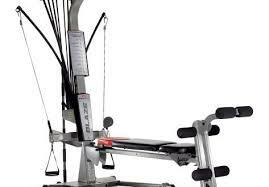 The machine includes a number of notable features, including chest press, dual-function pecdeck, leg extension, leg curl, lat pull and lower pulley station. Moreover, this machine is ergonomically designed to prevent injuries and offer maximum support. All in all, you get 300 pounds of resistance, making it perfect for more advanced fitness users. Click here now to get the top Body Craft home gym experience now. There are different ways to go about picking out the right machine for you. 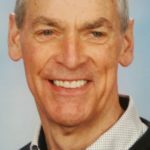 The price of the machine, of course, can go a long way in telling you what type of fitness enthusiast it’s designed for, with higher prices generally correlating to more advanced fitness profiles. If you live in a tiny flat or apartment, there’s no sense in buying the biggest machine you can find. You should be looking for a compact machine, and preferably one that folds up and can be placed in a corner of a room when it’s not being used. Buying one of the best all-in-one gym machines is not like buying a new mobile phone – you’re not going to upgrade every year to a new model. So you need to think at least 2-3 years into the future and decide which machine is best able to grow along with your fitness goals. Your goal at the outset should be to buy a machine that is as versatile as possible, so as to meet your fitness goals over an extended period of time. That’s why machines from Bowflex are so popular – you get so many exercises included with each model, that you can constantly find new exercises (or, at least, new variations on old exercises) to push you to reach new fitness goals. 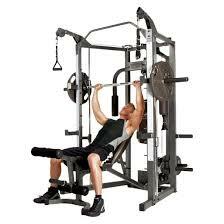 Moreover, the Bowflex machines are often designed to be upgraded to new resistance levels (e.g. from 210 pounds to 310 pounds to 410 pounds). While most all-in-one home gyms are advertised as offering a true all-over workout, the reality is that not all machines include a full array of exercises designed for your legs, back and shoulders. If you are specifically looking to target certain problem areas – such as your glutes – make sure that the machine is designed to work those areas. The reality is that some all-in-one home gyms are designed to tone and sculpt, while others are designed to build muscle mass. As a rule of thumb, it’s the higher-end machines that are focused more on building muscle mass, and the lower-end machines that are focused more on toning and shaping. This makes sense, since the average person just starting their workout routine probably is looking first and foremost. The premise of any of the best all-in-one gym machines is that you can very quickly and easily shuttle between a variety of different exercises, the same way you would in a membership gym. But remember – you’re essentially transforming the machine every time you launch a new set of exercises, and that’s easier in some cases than others. It’s one reason why multi-station machines are also popular – they are designed to have two or more exercises going on at the same time, so it’s easy to see how two people could use these machines as part of an interval circuit more easily than with machines that require more moving parts. As a rule of thumb, it’s hard to go wrong with any of the top machines on the market today from the industry leaders. That’s why you’ll routinely see machines from Bowflex and Marcy show up in the list of the best machines. 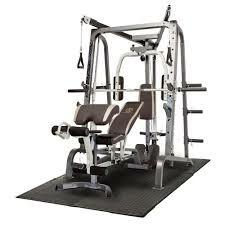 Year after year, they manufacture the best all-in-one gym machines. And when they do take older machines off the market (as Marcy did with the vaunted Marcy 988), they quickly replace them with machines that are just as good and just as sturdy. One interesting trend that we’ll be monitoring in 2017 and into 2018 is the success of the new Bowflex HVT Machine. This is a new machine from Bowflex that’s geared towards Hybrid Velocity Training (HVT). It combines both strength and cardio training, meaning you combine two workouts at the same time. And it comes with some nice tech upgrades, like built-in Bluetooth and a free Bowflex HVT mobile app, which enables you to watch 50 full-length training videos as you workout. The price however, puts it at the far end of what you might expect to pay for an all-in-one home workout machine. By taking into account both price and the five factors outlined above, you’ll be able to find a compact, all-in-one workout machine that is perfect for your age, body weight and fitness goals. You’ll enjoy using your machine and will become not just fitter and stronger, but also happier and more optimistic about what you are able to accomplish in your personal life. Choosing one of the best all-in-one gym machines 2017 is about making a lifetime commitment to your health and fitness.